Recorded a short film off Sky Movies last week and just got to watch it with the kids. It is one of the most delightful short films I have seen in a long time, subsequent research then taught me that it was nominated for an Oscar at the 2012 Academy Awards. Rightfully so…enjoy! Hilter run down as a young child? German students make a fake advert where a Mercedes runs over a young Hitler. Government minister Gerry Brownlee has apologised for disparaging remarks about Finland, when he described Finns as uneducated, unemployed murderers who don’t respect women. 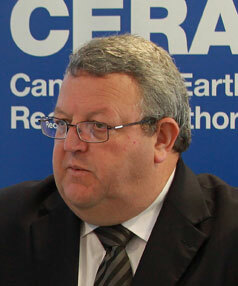 The storm started over comments Mr Brownlee made in Parliament last week in response to Labour leader David Shearer’s speech calling for New Zealand to follow in Finland’s footsteps. Finnish media picked up the story and said Mr Brownlee caused embarrassment to their country, while a Facebook page has also been set up calling for him to travel to Finland to “learn some facts”. 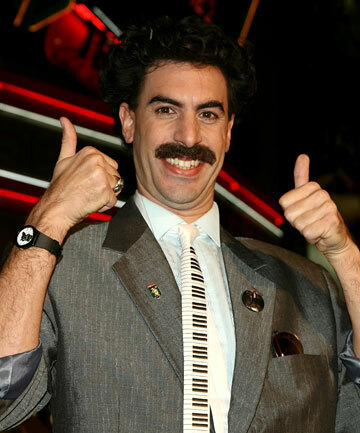 When the Borat movie came out the people of Kazakhstan were outraged, the government started doing press around the world to show Kazakhstan was nothing like the parody that Cohen put forward as a comedic character. All this proved is that Cohen is brilliant and played the world perfectly for millions of dollars of free advertising. But even Sacha Baron Cohen could not have predicted the latest upheaval to come out of his 2006 mockumentary. At a shooting event in Kuwait, upon make winning the gold medal for her glorious country, Kazakh shooter Maria Dmitrienko had to stand on the podium and listen to Borat’s version of the anthem. The spoof anthem praises Kazakhstan for its superior potassium exports and for having the cleanest prostitutes in the region. I am sorry for the most make glorious Maria’s moment for beloved nation, but it is pretty funny and to her credit she seemed to take the error pretty well, she smiled and walked off at the end of the ceremony…which upon the complaint of the team was later rerun. However it’s not just ‘foreign dogs’ that are the enemy of the most glorious Kazakh National Anthem…sometimes they are their own worst enemy. From the Mirror speaking of the latest mistake. It comes just weeks after embarrassed Kazakhstan officials made an anthem gaffe of their own. As the announcer at a ski race declared: “Eyes on the flag of the Republic of Kazakhstan, the anthem of the Republic of Kazakhstan is beginning,” proud dignitaries put their hands on their hearts. However, instead of the earnest anthem to ‘make benefit glorious nation of Kazakhstan’, Ricky Martin’s rather more breezy 1999 No1 Livin’ la Vida Loca blared out of the speakers. Giggling officials in Kostanay were left standing for a few awkward moments, possibly expecting Borat to leap out at them in his mankini, before the worker in charge of the loudspeaker hurriedly switched to Menin Kazakhstan. Maybe that’s why Sacha Baron Cohen had such an easy time convincing the world he was from this Ricky Martin loving country. Apology, Borat, Kazakhstan, Medal, National Anthem, Ricky Martin, Sacha Baron Cohen, Sports, What the?Daily Time Waster, Entertainment, Fail! If you are feeling like you need more control in your life…or at least to be more controlling…then subservient chicken is for you. Tell chick what to do, and what him follow your instructions to the letter of the law…unless he can’t do it then you get a wag of the finger. So I’m sure you’ve heard that FOTC’s are coming back to NZ to perform for the first time in 3 years, but what is a little more unknown is that you can get tickets early via a VISA pre-sale website. And while your deciding here for your entertainment is my favourite FOTC live song.